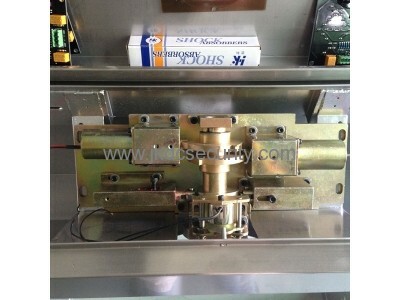 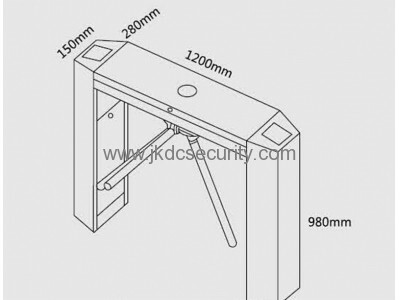 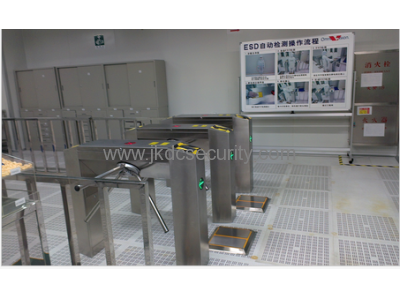 JKDC-120C Tripod Turnstile is generally used in simple dissuasion level access control of public passages. 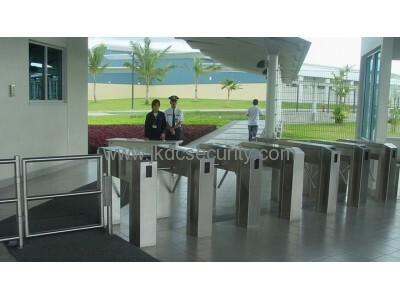 It is widely used in work attendance checking systems of factories, consumption systems of public institutions, access control of residential estates, ticket exit systems of scenic, sports and other arenas, handkey management systems of construction sites and so on. 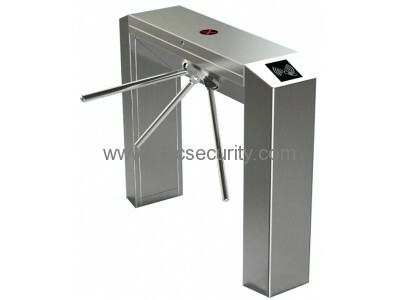 The mechanical part of the turnstile contains an emergency control device, which allows free passage in case of power fail. 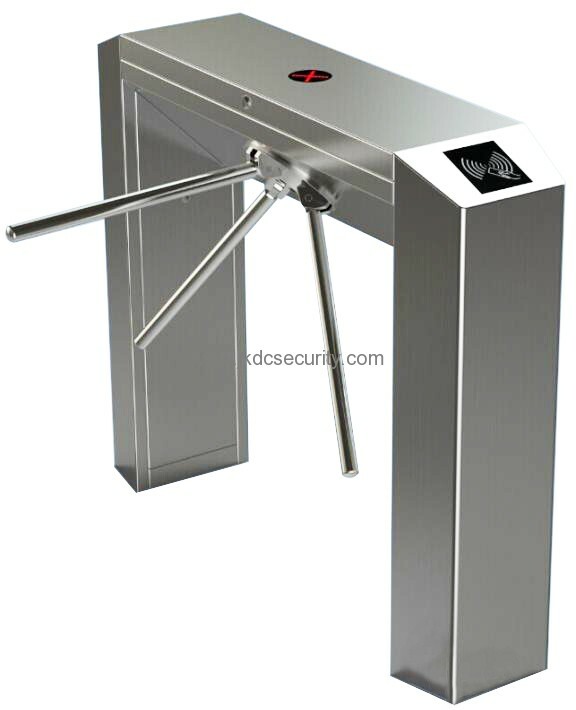 The turnstile has different optional configurations for the applications of all building conditions and for the control of all kinds of passage entrance-exits. 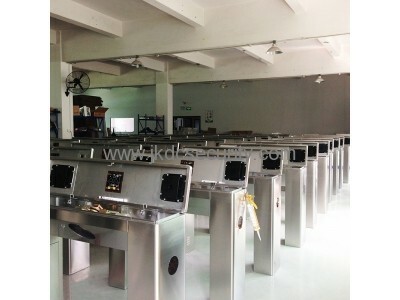 Different identification systems (ID card, IC card, bar-code, handkey, fingerprint, iris, etc.) 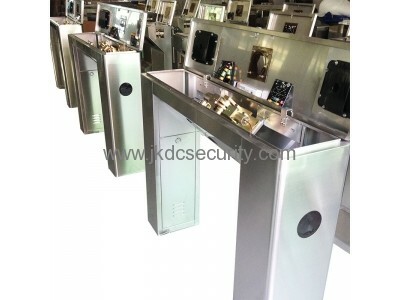 can be configured into the turnstile system. 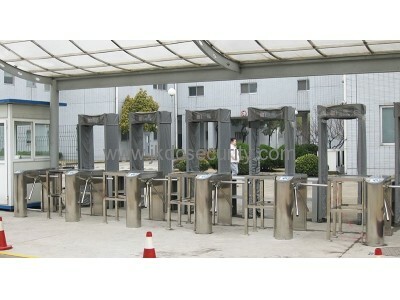 The turnstile can be connected to any kinds of controllers and various consumption devices.